Hillsborough Community College is creating a remote learning community for its American Sign Language students. Using video, online students do assignments and communicate feedback. These students have been able to create a tight-knit community over the internet, something that seems unlikely in an ASL program. In Tampa, Florida there is a community college that’s making a huge splash in the American Sign Language learning community. The great thing about a community college is its open door policy. 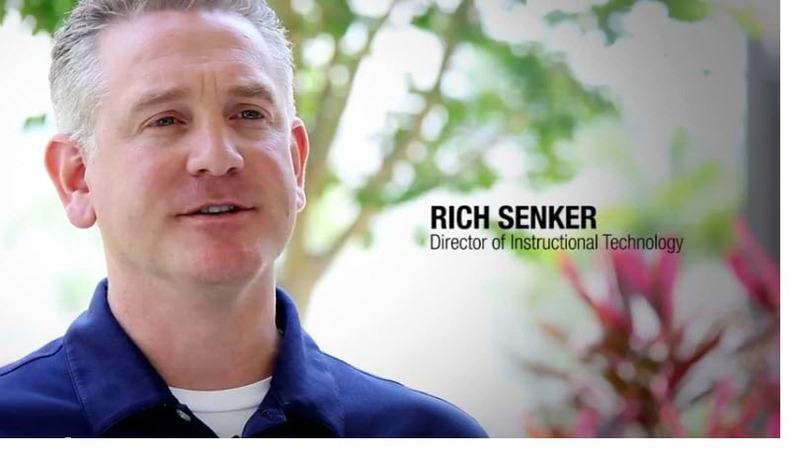 Rich Senker explains, “Anyone who’s interested in furthering their education or career can come here.” As Director of Instructional Technology, Senker has to bridge a gap for the students who choose to attend the school from far away. At the same time, the technologies he provides have to be understandable to students of all skill levels and technological literacies. For the American Sign Language (ASL) students at the college, having a large community makes all the difference in collaboration and making connections. Yet many of the students were remote and didn’t attend classes in person. “The ASL group came to me asking for a solution,” said Senker. Professors and students alike were missing an option that offered video recording and posting assignments to the web. Instructors were ready for a video capturing solution for online students that would allow them more flexibility so online students could still have an effective learning community to grow and achieve, just as well as they would in a classroom. After doing some research and learning about TechSmith Relay, Rich Senker decided to provide it to the ASL students and faculty. Rich Senker described TechSmith Relay as “Convenient, quick, and reliable.” These factors are especially important in a remote learning environment for students who need to submit assignments on time and in a professional manner. Instructors at Hillsborough are seeing a positive change in the way communicate with each other using the software. “I’m a strong believer in peers working together to help them develop a learning community,” Betti Bonni, a professor at Hillsborough with the American Sign Language program, notes. Preparing students with the skills necessary to for careers is one of Hillsborough Community College’s primary goals. Professor Bonni makes it her to mission to make students lifelong learners and critical thinkers. Using activities with video promotes these concepts by encouraging students to think critically and provide feedback. Hillsborough Community College’s remote access courses are reaching students all over Florida and beyond; the ASL community keeps growing. With a growing community and culture, students are able to communicate with others more effectively, and learn better than ever before. Reach students outside of the classroom in an easy, effective, and time-efficient manner with TechSmith Relay. The skills they learn and develop will not stop here. When they graduate and go out into the world, they will have each other to lean on.